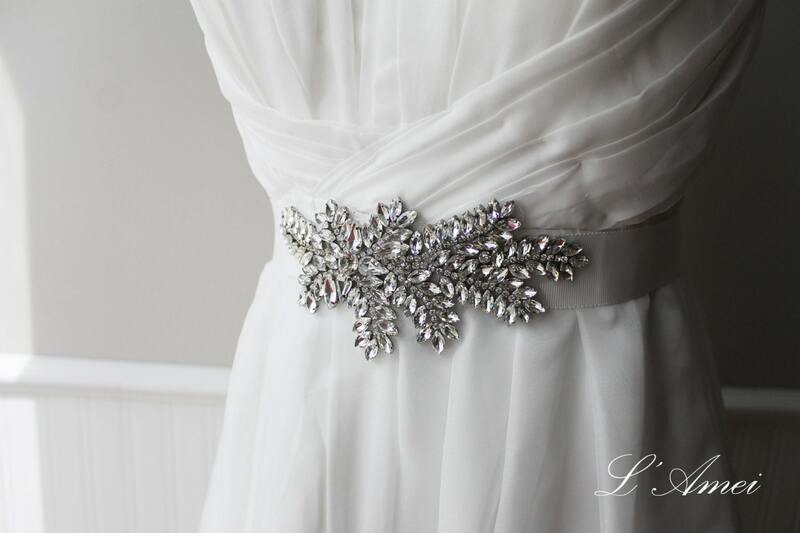 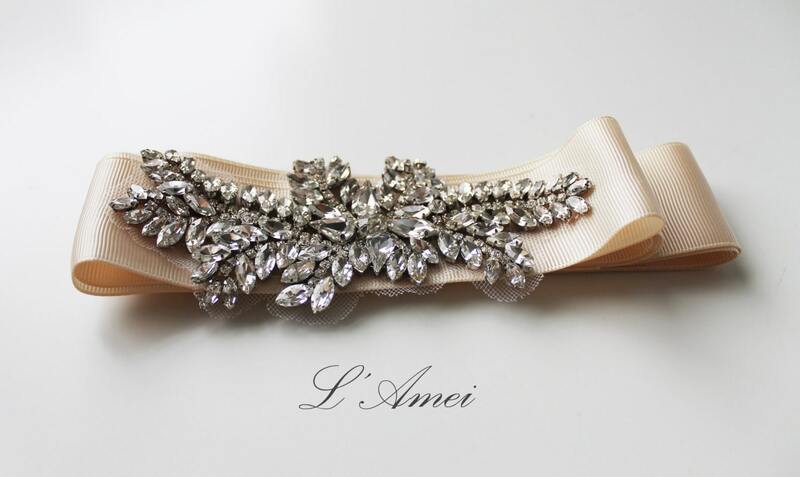 This boldly set beautiful jewelled rhinestone belt is set on a highend japanese double sided satin sash. 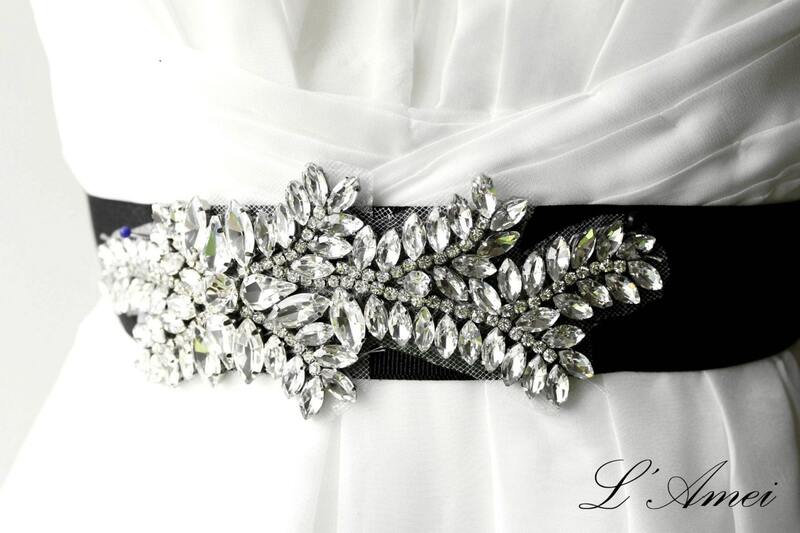 Available in Ivory, Diamond White, and White sash colors.If you do not want to tie it, you can have it sewed on to your dress. 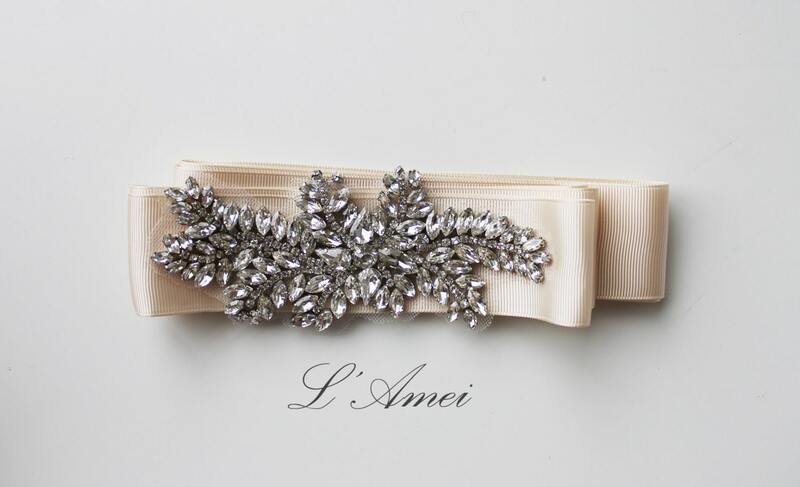 Due to the nature of handmade items, each piece may have very slight variations in flower placement or size. 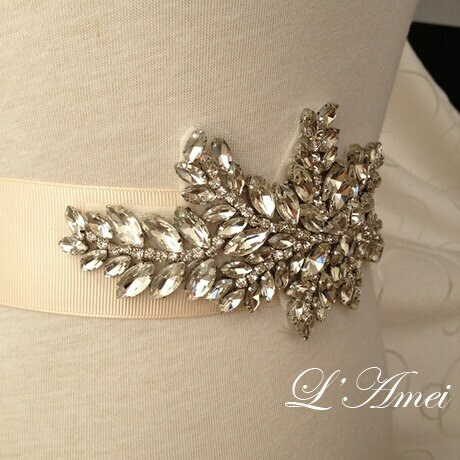 All of my items are exquisitely made with careful attention to detail.